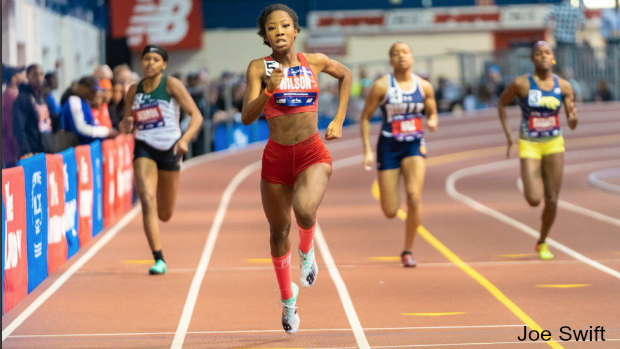 Britton Wilson once again put the nation on notice with her blazing speed in the Millrose Games 300m Dash. In that race she eclipsed her own US #1 and crossed the line in 37.53. That time ranks second all-time in Virginia and third all-time in the country behind only Francena McCorory and Sydney McLaughlin. Outside of her performance there were some big marks by Virginians in high school college, and professional ranks. Check out how each and everyone did on the following pages.